On Saturday afternoon, June 25, 2016, Saline County Sheriff’s Office deputies were dispatched to the 19000 block of Woodland Acres for a criminal trespassing. Upon arrival, both deputies observed that there appeared to be someone inside of that residence. Attempts were made to verbally have the subject exit the dwelling. The subject, later identified as Christopher MILLER, failed to comply with the requests made by the deputies and was then seen running to the rear of the dwelling. When deputies entered the dwelling, drug paraphernalia was observed in the front room. MILLER retreated to the rear of the dwelling and kicked a hole in a wall to escape. When deputies pursued on foot, MILLER picked up a piece of firewood and struck one of the deputies in the back of the head. 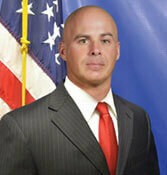 The second deputy also injured his leg while attempting to arrest MILLER. With both deputies injured, MILLER continued to violently resist arrest. At one point, MILLER was attempting to gain possession and control of one of the deputy’s .45 caliber handgun. Deputies were ultimately able to handcuff MILLER, call for back-up and summons medical personnel. Members of the West Pulaski Fire Department responded as well as MEDTRAN medics. Both deputies were transported to Baptist Health Medical Center in Little Rock. Both deputies were released late in the evening. Neither was medically cleared to return to work. This morning, a $75,000 Sheriff’s Bond was placed on MILLER by Judge Michael Robinson. The Saline County Sheriff’s Office would like to thank the Fire Department personnel from West Pulaski and Emergency Medical Technicians from MEDTRAN for their quick response and treatment to the deputies.